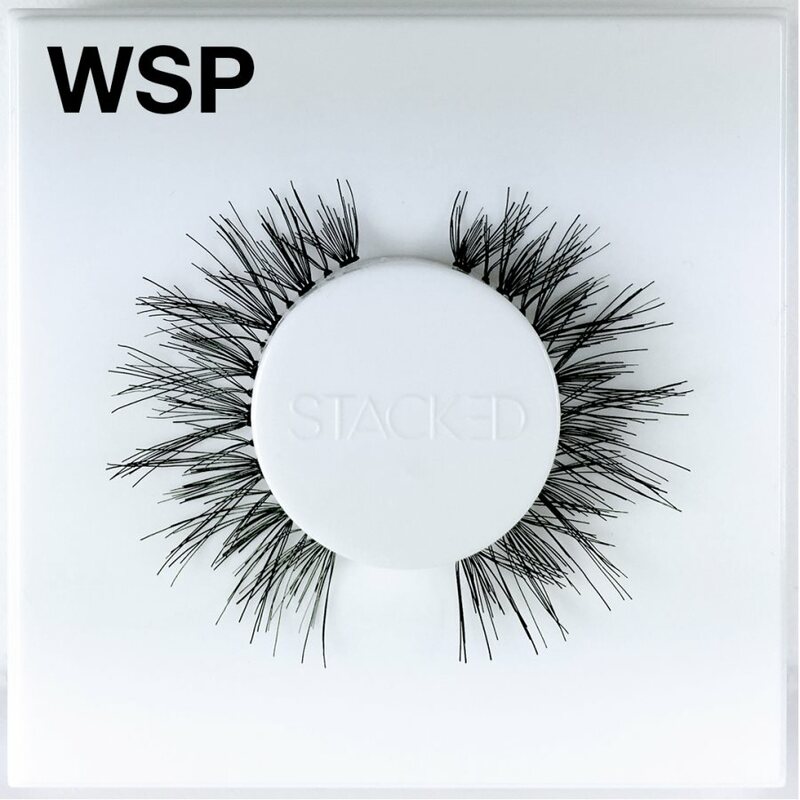 Its pretty normal that our top lashes always get all the attention, but it may be time to switch it up a bit. 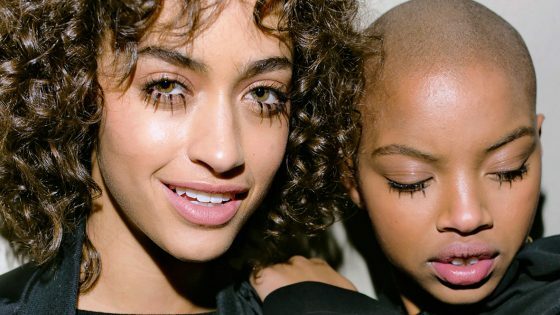 Exaggerated, spidery, or glittery — this season’s lashes stuck to the bottom line. eep reading the article and we will show you 3 ways to galm up your bottom lashes with liner, mascara, and false lashes, like some designers did on the runway recently. The result: doll-like yet badass bold lashes. 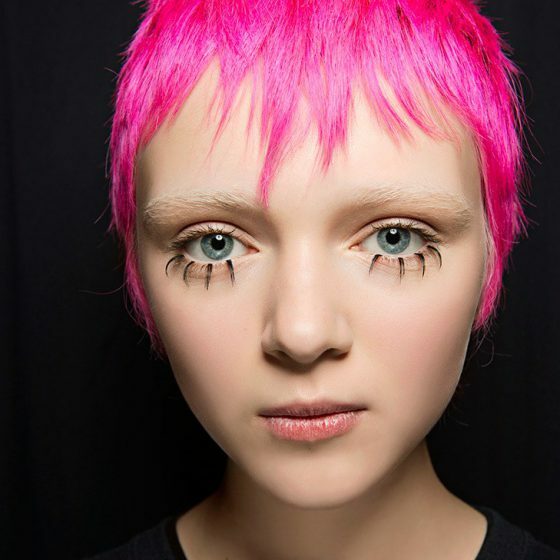 For the doll-eyed look, makeup artist Jeremy Scott Kabuki cut strip lashes into narrow sections and spaced them out along the lower lash line for the doll-eyed look. You will need extra confidence if you want to pull off this look, and you are going to need false lashes used for top lashes. 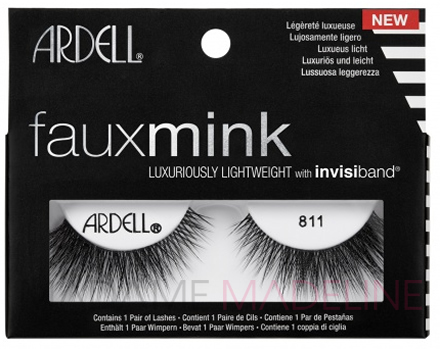 This because the lower lashes are not designed as long. Ardells 106 Glamour Lashes are a grea choice for this. If you want a more crazy effect glue the longest clumps on to the middle of your lash line. At Tadashi Shoji, makeup artist Pep Gay used liquid liner to approximate the look of thick fake lashes —then he drew stripes under the lower lash line (right on the skin) and then added silver glitter between each “lash.” He did this by using loose glitter and lash glue, but a glittery liner, like M.A.C. Superslick Liquid Eye Liner in Nocturnal, creates the same effect. 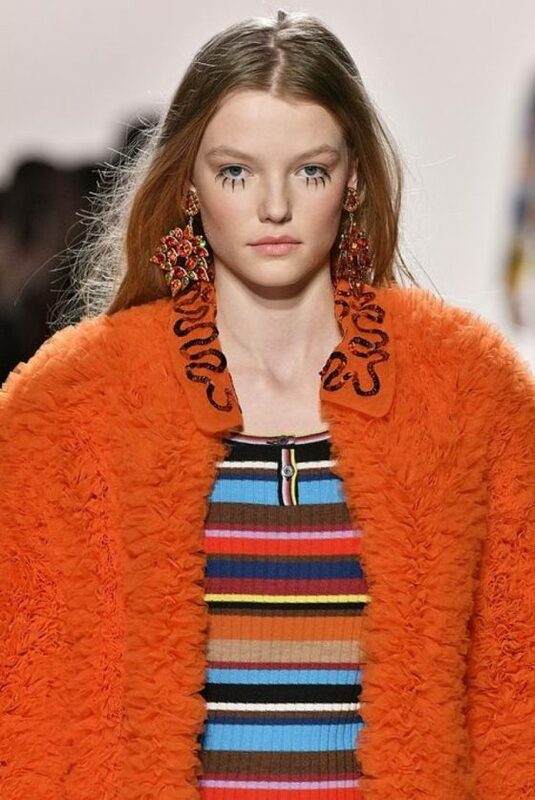 A bit eerie and surreal, these chunky lower lashes at MSGM were inspired by Twin Peaks .Hold a mascara wand vertically as you sweep it back and forth across the lower lashes until they’re this spidery. Or you can you use a ball-tip mascara wand, like It Cosmetics Hello Lashes. 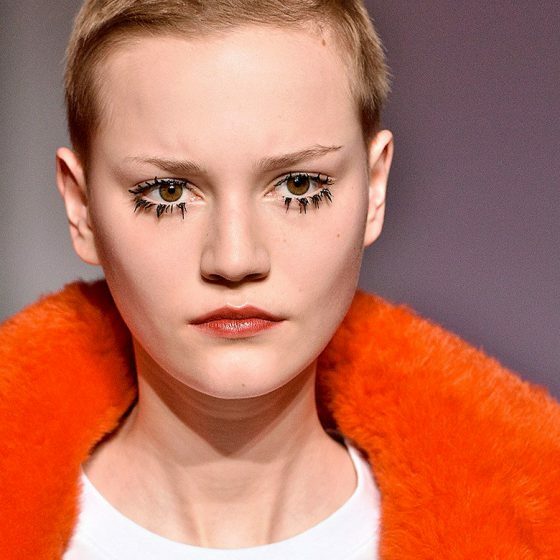 The segmented/spidery lash trends was all over the runways. It's seen here at the Jeremy Scott show. This model is giving us a really intense Twiggy vibe. 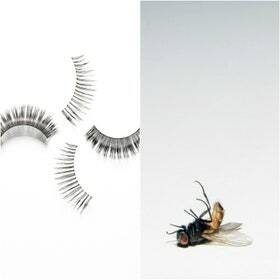 Lashes were overloaded with black mascara, meant to look clumpy and spidery especially on the bottom lashes, where false lashes were used to make them look even more segmented. Here's how to do this in a subtle way, before a night out. Apply one coat of a volumizing black mascara as you normally would. Then with the tip of the wand remove the excess at the tip. Then gently separate your lashes into small, clumpy sections. For the bottom lashes, hold a tissue under your lashes, to prevent mascara from getting on your skin, then again, with the tip of the wand, apply the mascara until it looks nice and full..